Published in conjunction with a major exhibition organized by The Museum of Modern Art, New York, in collaboration with the Menil Collection, Houston, and the Art Institute of Chicago, Magritte: The Mystery of the Ordinary, 19261938 focuses on the breakthrough surrealist years of René Magritte, creator of some of the 20th centurys most extraordinary images. Bringing together nearly 80 paintings, periodicals and early commercial work, it offers fresh insight into Magrittes identity as a revolutionary painter and surrealist artist. Beginning in 1926, when Magritte first aimed to create paintings that would, in his words, challenge the real world, and concluding in 1938 a historically and biographically significant moment just before the outbreak of World War II the publication traces central strategies and themes from this seminal period, particularly those of diplacement, transformation, metamorphosis, the misnaming of objects, and the representation of visions seen in half-waking states. The publication also presents new conservation research on Magrittes materials and techniques, and an illustrated chronology outlining significant moments in the artists life during this significant period, including travel, connections with other surrealist artists and writers, contributions to journals, and important exhibitions and reviews. 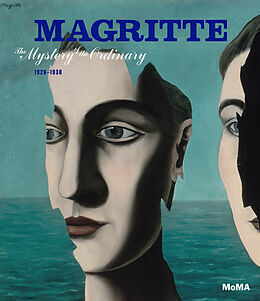 Focuses on the surrealist years of Rene Magritte, creator of some of the 20th centurys most extraordinary images. Bringing together nearly 80 paintings, periodicals and early commercial work, this title offers insight into Magrittes identity as a revolutionary painter and surrealist artist.